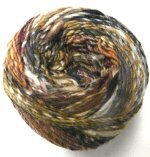 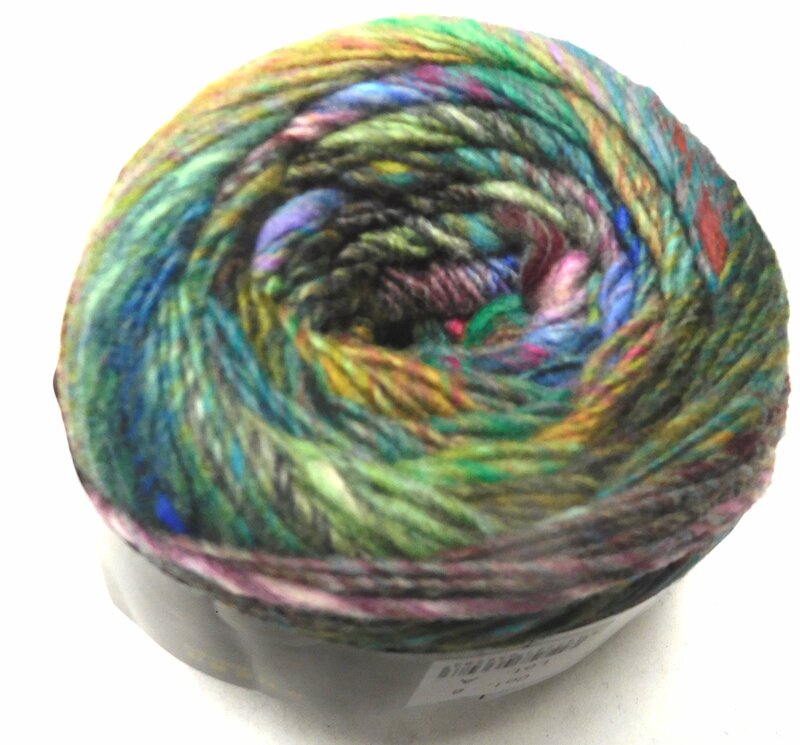 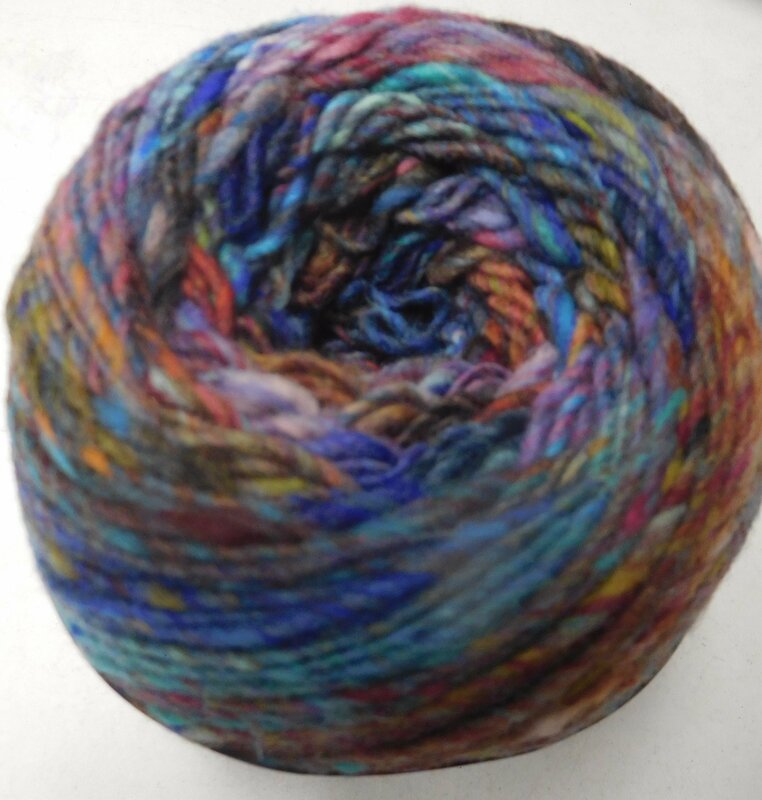 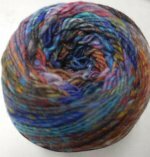 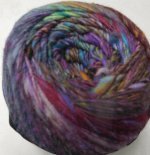 This new 100% wool yarn by Noro features a whopping 200 gms and 437 yards in a ball. 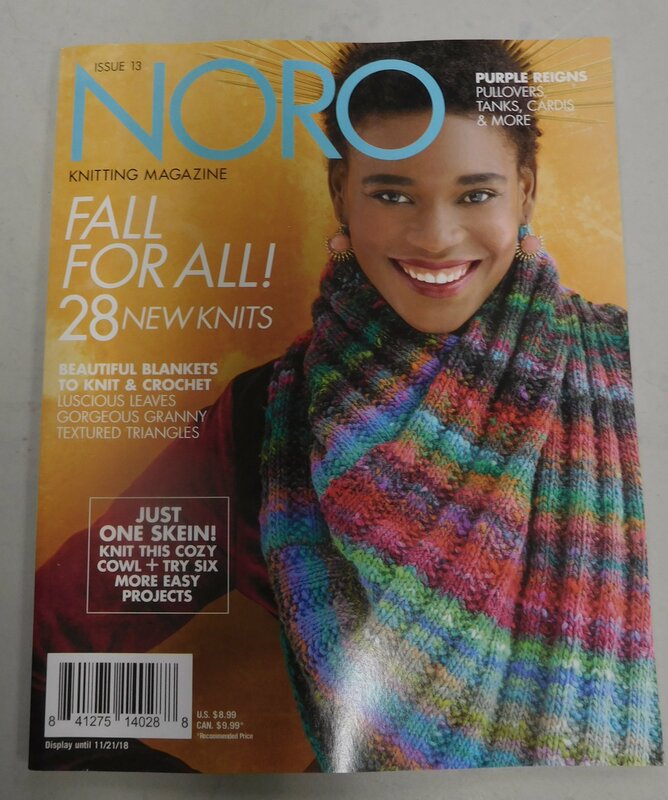 They are Noro's response to all the Shawl Balls out there! 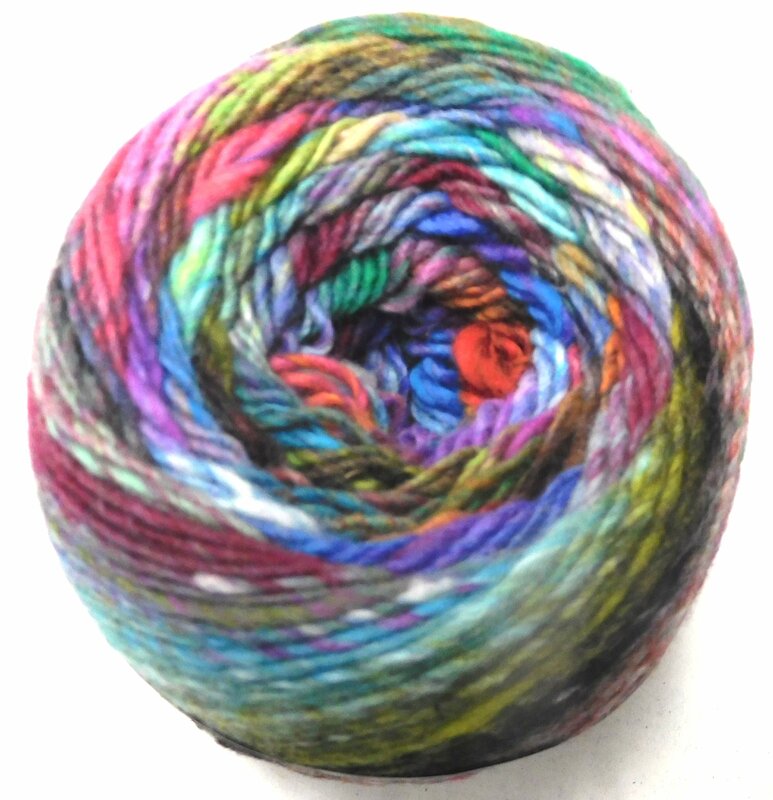 Each ball features a 45 color sequence. 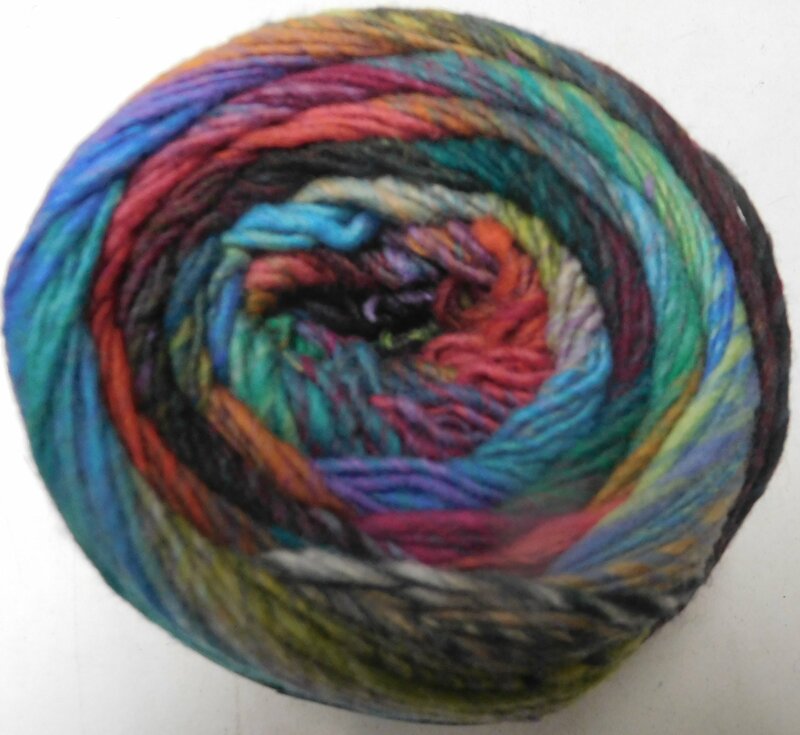 So unlike the Kureyon and Silk Garden that each have 8-10 colors, these big balls provide more color changes, perfect for that "statement" accessory. 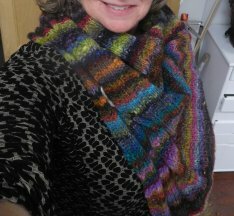 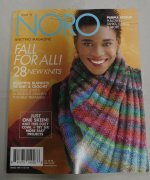 The cowl shown featured on the cover of the latest Noro Magazine uses just 1 skein and the pattern is free with the yarn purchase! 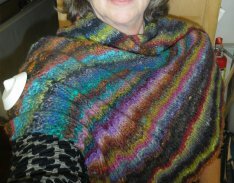 This is a simple knit but that will keep you going for a while if you need a good project to take with you to Thanksgiving! 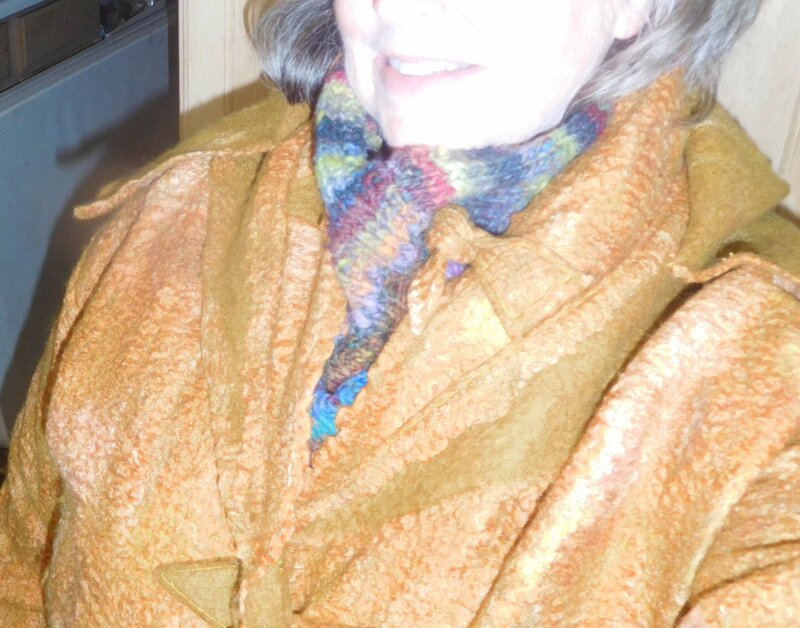 And it is great to wear - in the shop I pull it down over my shoulders for a lovely wrap that keeps the chill off the back of my neck/shoulders, and yet it scrunches up beautifully to wear as a cowl and it even fits under a coat.